The Pictish hill-fort on Bennachie above the clouds. St Mayoca's Church - Dalmaik. 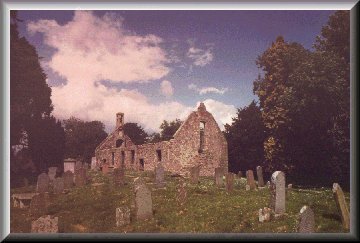 St Kentigern's Church - Glengairn. Penannular Brooch - Part of St Ninian's Isle Hoard. 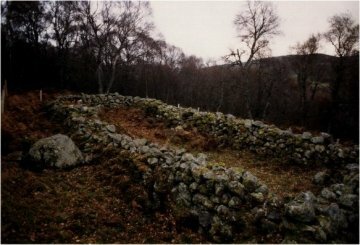 St Maelrubha's Church (site of) - Clova. Sacrement House - Kinkell Church. Effigy of Knight in Armour - Fordyce Church. Inchcolm Abbey - Firth of Forth. Pictish Cross-Slab - Loch Kinnord. Effigy of Abbot - Fearn Abbey. 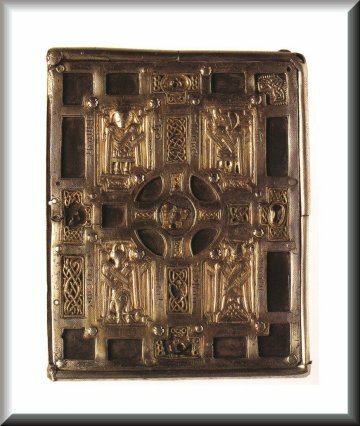 Outer casing of St Fillan's Crozier - National Museum of Alba. "The Brec Bennoch" - National Museum of Scotland. The Westness Brooch - National Museum of Scotland. The Hunterston Brooch - National Museum of Scotland. The Guthrie Bell-Shrine - National Museum of Scotland. 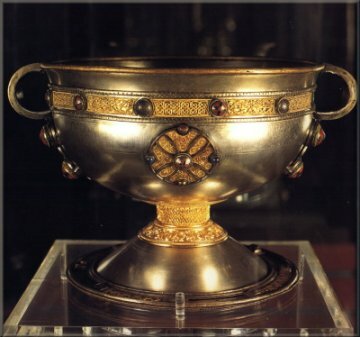 The 9th Century Derrynaflan Chalice.